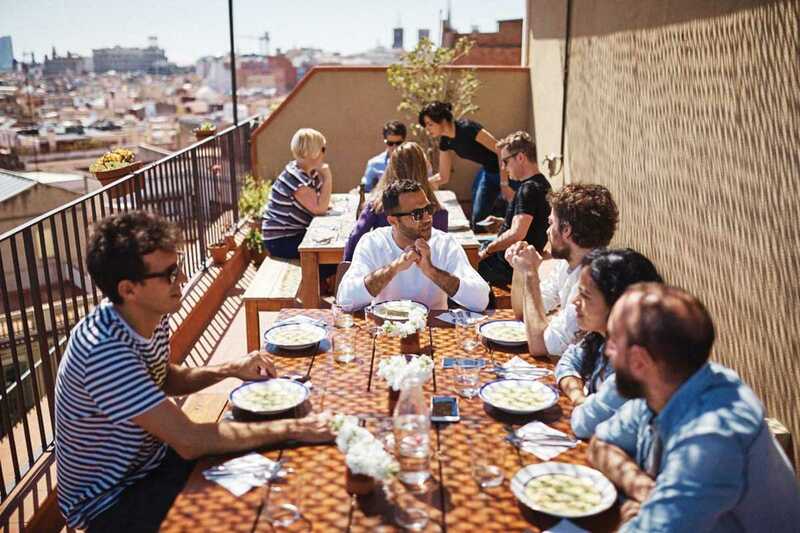 Splitting his time between Barcelona and London, Scottish cook and writer Philip Dundas has his feet firmly planted in two distinct cuisines. Over one weekend a month, however, the divide unites and results in Radish, the newest pop-up eating experience in the city. Radish combines the flavors of Philip’s native British Isles with those of the Iberian region, offering a Friday evening dinner, Saturday lunch and a traditional Sunday afternoon roast. Start by taking in Yök’s marvelous vista with a moreish Bloody Mary granita before moving on to dishes you’ll wish you’d heard of before: potato and cabbage rumbledethumps with egg carpaccio and anchovies; Cullen Skink creamy, smoked fish soup; baby squid stuffed with haggis. For Sunday tuck into slow roast organic lamb with asparagus, or roast Basque beef with chanterelles. The dessert options are seldom seen here, such as rhubarb crumble or cranachan, creamy yogurt served with crunchy oats and vermouth-marinated fruit.